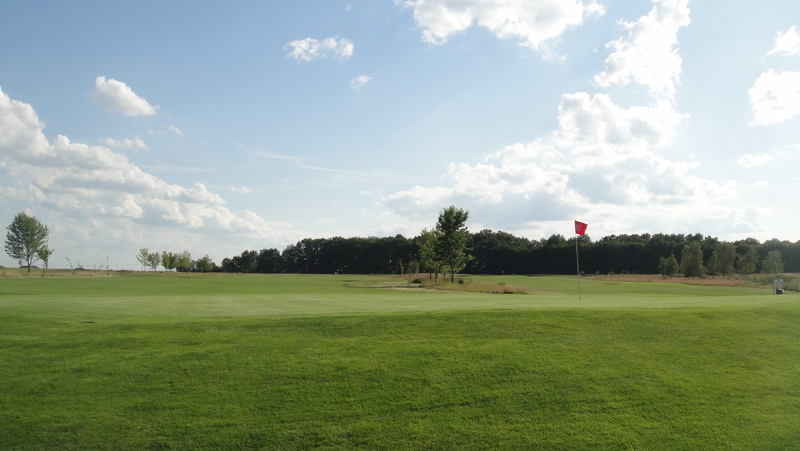 Golf currently suffers from declining numbers of golf players around the world and even golf courses here and there have to close their doors forever sometimes. A positive boom definitely looks different! But what’s the problem? What creates such a big downswing in people being interested in the game? I have my personal opinion but obviously there are regional differences. In countries like the UK, the US or other (former) British colonies golf pretty much remained a sport for everybody. 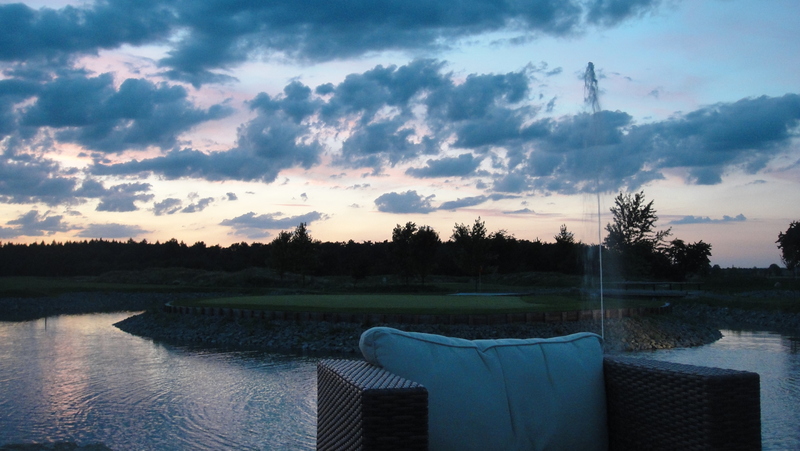 OK, point taken, not all folks are admitted in upscale country clubs or snobbish suburban clubs but in general you’ll find more the average guy on the down-to-earth golf course plus some others who would (love to) consider themselves as upper-class. If you take other countries into account, there golf always had a label as being a rich man’s sport. For good reason I have to say as in the past golf actually has been very expensive and the combination of membership fees, joining costs, equipment, training etc. made it impossible for the average (wo)man to chose golf as the next sport project. So we have a money issue. 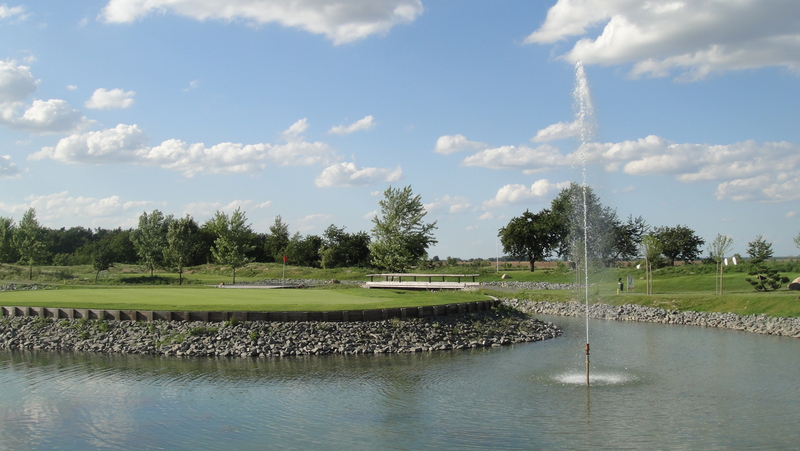 We all know that golf can be a frustrating game and it definitely is a huge time-consumer. For those among you who live in a close relationship, have kids, have a regular job, then you know how tricky it is to get out on the course once or twice a week for a full round of golf, for some training sessions, for some beers with your golf mates, it just takes ages. Don’t get me wrong, I love the fact that it takes so long, but family members who don’t play with you would most likely complain for you being away for so long. So we have a time issue. But there are other challenges as well. Golf is not a sport that you can play in your backyard, it deserves heavy practice on a range and once you’re good enough, you wanna go and play a proper golf course. There might be regions in the world where there are no golf courses but I guess it’s fair to say that mostly one course is reachable in a decent drive by car. But what about the kids, they can’t drive themselves. If parents are not willing to give their kids access or a ride to a course, wait for them a couple of hours and then take them home again, then these children won’t have much chance to start playing golf. If one has no contact to the sport or knows somebody who has contact, then it could be quite difficult to get the thing started. Yes, technically it’s absolutely possible to call up the club, get a membership, get some trainings with the pro scheduled, visit the range on a regular basis, become better and better, and finally play some tournaments and get a proper handicap—all without talking to other people. But golf is a communicative sport, people generally like being around with some other folks, but at the same time golfers are sort of their own species. Some are really nice and open, some others might be quite reluctant talking to others, probably enjoy their own little inner circle and wouldn’t let anybody else in. I understand the criticism that golfers can be very weird. So we have a personal issue. This statement obviously would hinder those to make the first step, to get started, get trained and get better and spend time with this beautiful sport. And this is exactly what has to change. We have to make golf attractive to anyone out there, we have show interested people that golfers are a helpful, nice and joyful bunch of athletes and that it’s quite easy to make the first steps without much cost. 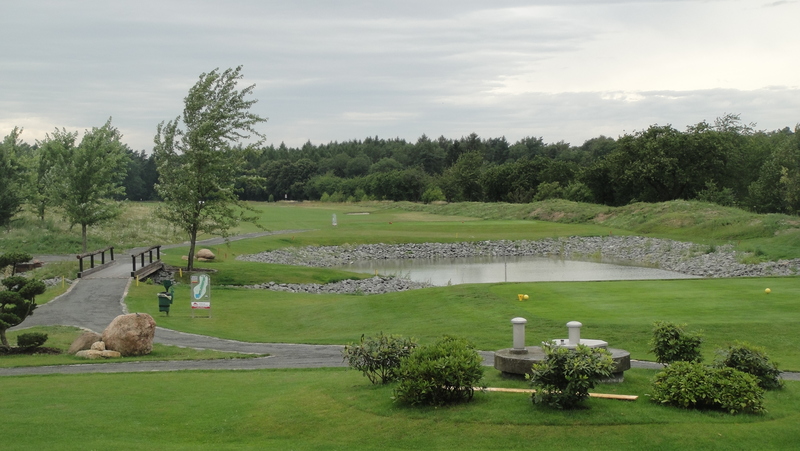 If I look at the average age of a golfer in a central European golf club, I believe it’s something in the mid-sixties! So we are properly talking pensioners here! I mean it’s good they found something they can be good at, at their age, but we have to make this great athletic sport attractive to all sorts of people: young, old, tall, small, men, women, everybody. There are so many positive side effects to playing golf which I won’t touch on here but I know that the massive majority of golf players love their sport, try to play as often as possible and simply adore everything about it (possibly apart from the fact that they have to stop playing in winter). Why does it have to be so extremely difficult to enter for new-joiners, why is it to tricky to explain the beauty of golf and why does everybody believe that golfers are rich weirdos and the sticks are super expensive? The answer could be very easy: just break the ice, approach people and make them aware that golf is cool, that playing golf is one of the greatest hobbies on the planet, that it’s actually quite cheap to get started in terms of equipment, talk to people and introduce them to other club members, be nice, show them around, explain club house facilities and amenities, explain how easy it is to find like-minded people, to play tournaments and become better. Sounds easy? Yes it is. Sounds like much work? Well not so much. I’m quite an open person. Yes I do have my close friends but I like spending time with others as well. Every time they ask me what I do, I tell them I golf. In most cases these people had no contact to golfers before and are super interested in how you play, how you count and whether everybody has to wear checked trousers. Seriously. 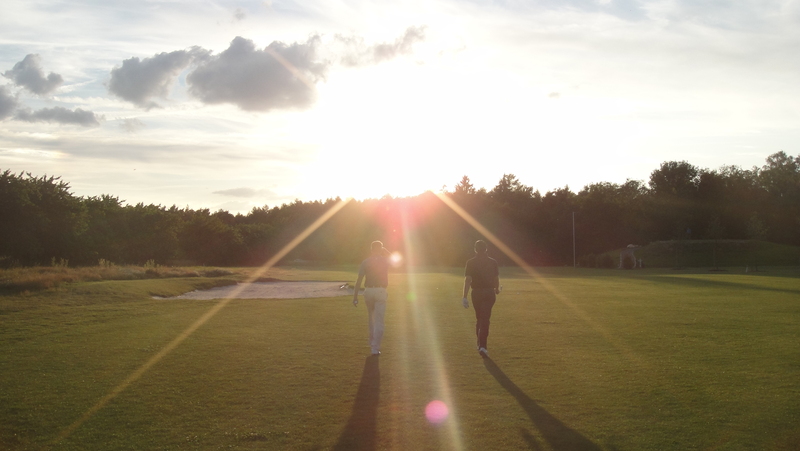 In order to bring all this to a new level, Carsten Moritz, a fellow golf blogger, initiated a golf mentoring concept. It started with collecting golfers across the country who would be willing to have their names displayed on a website being ready to be contacted by anybody out there and answer questions around golf. Could be quick questions like “how can I start, what do I have to buy, can I get a test membership somewhere”. Something like this. Not more. Just being available for people being interested in the sport and the question how to make first steps. No question that I am a golf mentor as well and no question that I try to promote golf wherever I can. Carsten further created a Facebook group, sends email newsletters across, distributes information about upcoming open days, etc. 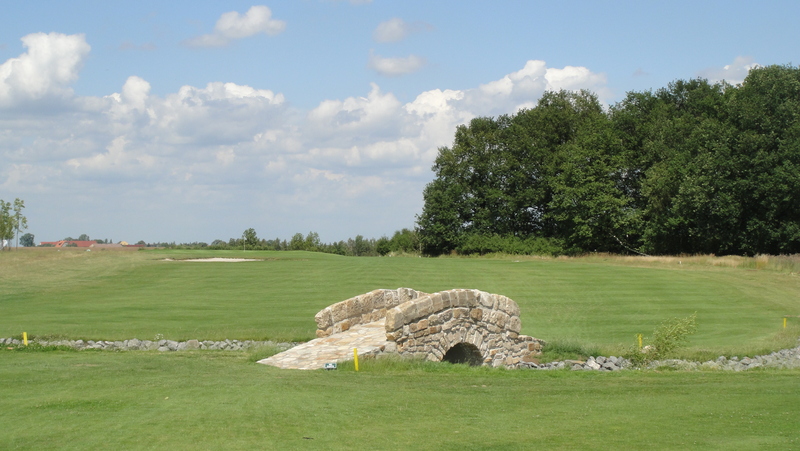 If you live in Germany then you should have a look at the Golfmentor website. If you live somewhere else and you want to grow the game of golf again, want to get in contact to some new people, want to be as productive and helpful as possible to support prospects then you probably should think about your own little local mentoring. All your future golf mentees would love it, sure thing! Golf is still different here, sorry to say but it’s still not properly arrived in the middle class yet and there are so many clichés around it, that we, as ambassadors of the game basically, should act as advisers, providers and connecters. Although golf is a game where you usually play against yourself, it’s at the same time a sport where we appreciate company, where we play in groups, where we communicate much and where other people in general play a big role. Still especially in Germany people are pretty reluctant when it comes to getting access to the game. People who are generally interested but never had contact with it usually feel overwhelmed with the information, the market and especially not comfortable amongst other golfers in the unknown surrounding of a golf club – as if we were aliens! In Germany it was decided to do something against it. There will be image campaigns, advertising and generally more public relation in order to attract people but it’s fair to say that it’s questionable whether this turns out into hundreds or thousands of new golfers. It’s a good starting point but at the same time it’s essential to get people on the course, get them have first contact to the game, to the people and the feeling to be a part of this beautiful sport. It’s a lifestyle, and if you ask me, it’s the best one possible! 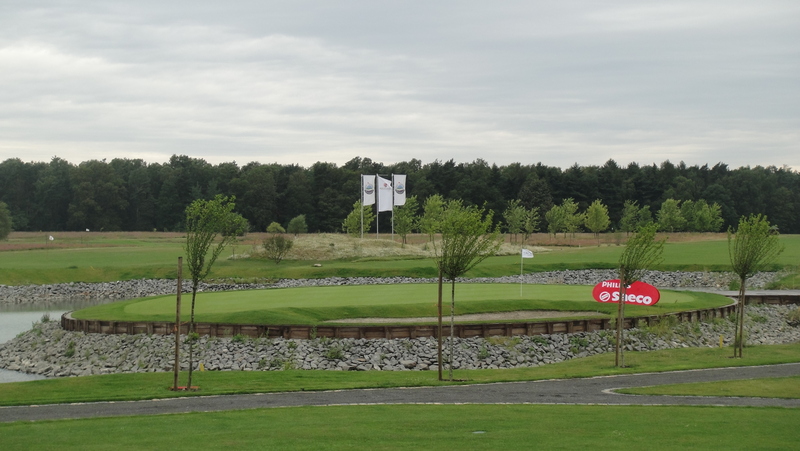 To establish something like the above it was decided by the German golf association (DGV Deutscher Golf Verband) to host an open day on golf courses across the whole country. 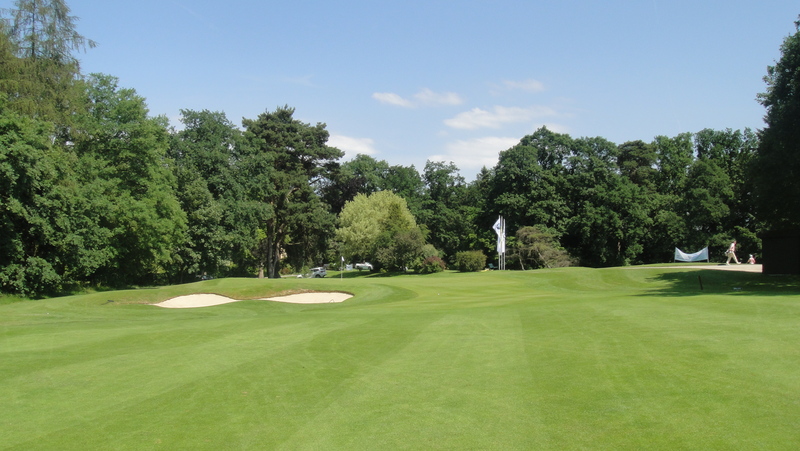 Not all are taking part obviously but more than 450 clubs will open their gates in early May to the public, offer golf clinics, training sessions, access to facilities and much more information. All to lower the barriers, to ease the entry to the sport and to inform interested people how to make their first steps. In case you understand German, live in Germany and know people who might be interested, please let them know the following link. It provides a post code based search for clubs in the region, gives dates, information and all one would need to get it started. I wish you all much fun on those days. Please comment below if you want to discuss specific things. Here is the right place to ask. Some say golf is not even a sport, it’s just a game. Whether that’s true or not, I guess is for everybody out there to decide. Obviously it’s not a sport like tennis or football but there are definitely arguments for the fact that it’s more than just a simple game. In every case golf is a great time to spend the day with, and yes, a 5-hour round of golf in 35°C can be quite exhausting and sweaty. What you see here is the gym room in my golf club, the perfect way to combine the beauty and technique of golf with fitness exercises to cater for a comprehensive all-inclusive training session. So next time you play a round, consider to get in your trainers later, do another 5K or so on the treadmill, lift some weights, do some crunches and sit-ups – your body will be very thankful one day, and your golf swing as well! The stronger you get, the less power you have to put in every shot, the less exhausted you get during the round, the more accurate you can play 18 holes. If you compare that to the pro tours, yes obviously there are some older and fatter blokes who are able to win some tournaments but when you are serious about the game, you spend some time in the gym – just like Tiger, Rory and all the other young guns! And why not end such beautiful day in the sauna followed by some fresh fruit drinks in the restaurant. Great training! 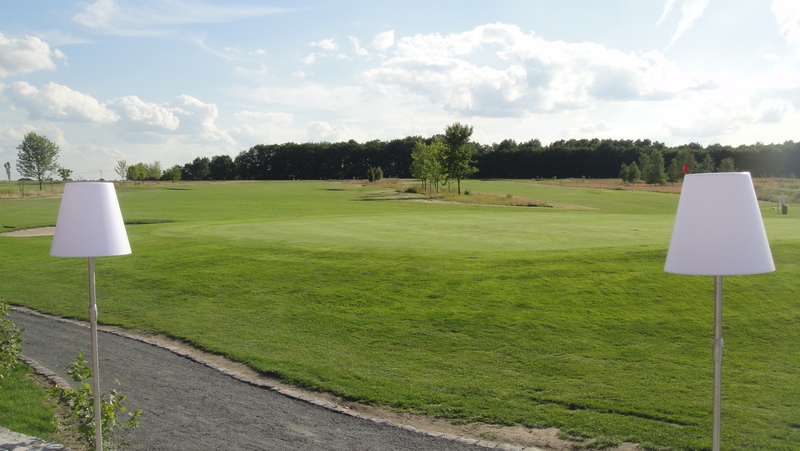 The Frankfurt area is blessed with a lot of golf courses and there are two or three that stand even apart because they are not just fine courses, they are brilliant ones. 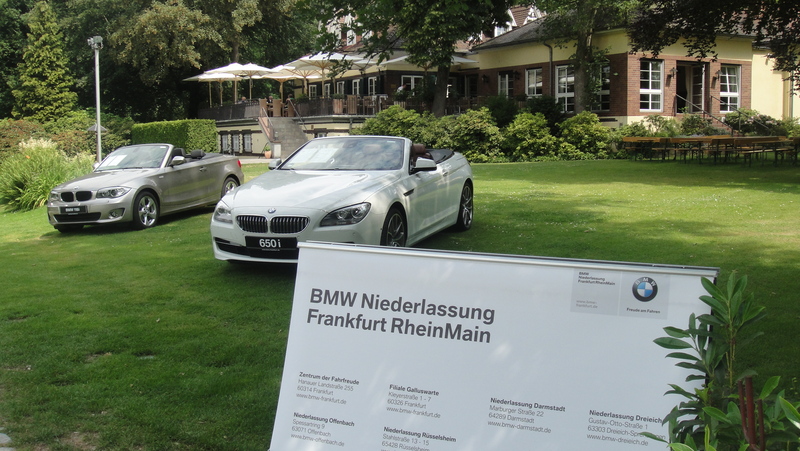 Frankfurt Golf Club is one of them and Golf Club Hanau-Wilhelmsbad, just outside Frankfurt, is another. 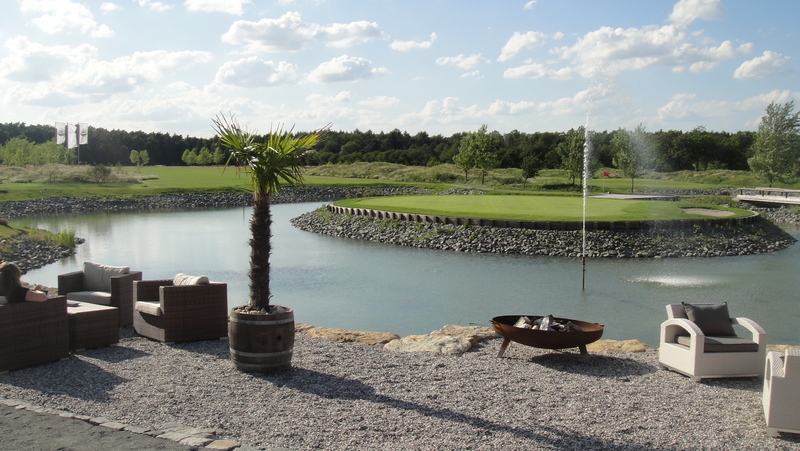 Hanau is a small town located in Frankfurt’s east and the course is a beautiful parkland styled course. But in contrast to Frankfurt, there’s plenty of water coming into play. 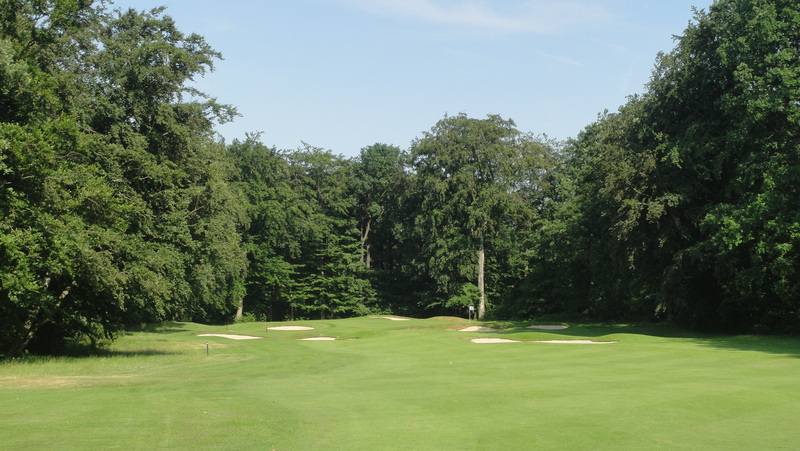 So there’s lots of woods and trees, water hazards and, if that’s not enough, for the Hanau Masters today we all had to play from the white tee boxes! My first time by the way! My game wasn’t that good today. I shot some nice drives with my new driver, shot some awful ones as well. Playing from the champions tees on a course that you see the first time, having a 3.1 and 4.1 handicapper in your group who really get pissed for every bogey they play, I can tell you, that’s not easy! I got frustrated too, got caught by the bad mood and my game was suffering from it as well. Needless to say that I wasn’t able to reach the buffer zone and that I worsened my handicap to 17.1… too bad! At least the 3-course dinner we had afterwards was an appropriate compensation. Wwe had some drizzle during the play but it was mostly dry. Arrived at the 18th, I pulled my approach shot to the green into the woods and lost my first ball. Otherwise I’d finished with the same ball I started with – normally a good sign. 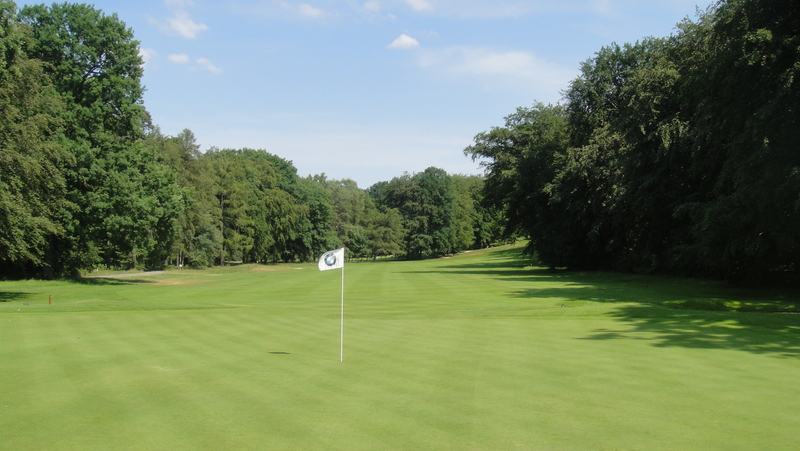 The Golf Club Hanau-Wilhelmsbad is member of the Leading Golf Courses of Germany; a certification label of the finest golf courses we have in Germany and a true mark of quality. 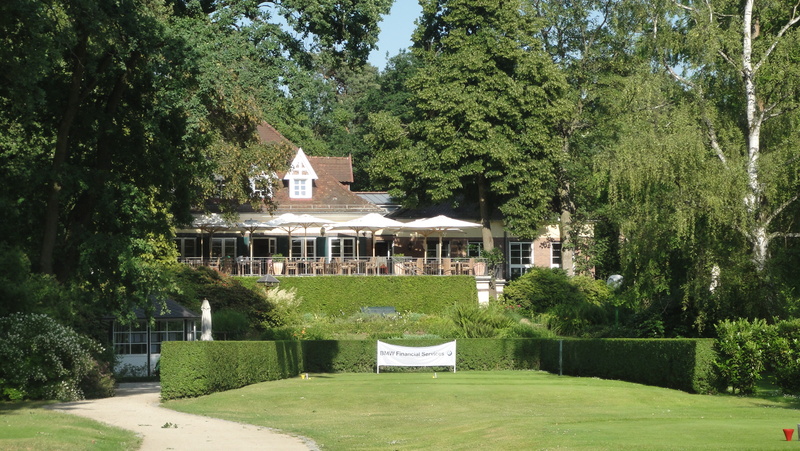 This is including the course, the arrangements next to the course, club house facilities, restaurants but as well things like etiquette, dress code, rules and so forth. So playing in a club that was honored with such label, is a pleasure for the most part. 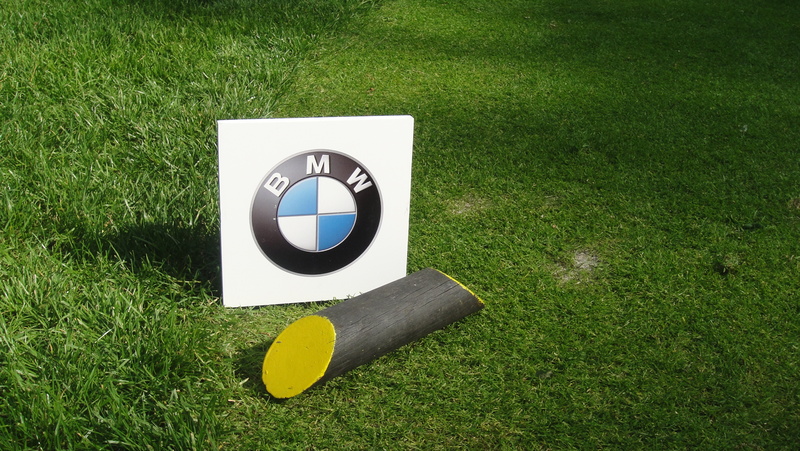 Only 34 German golf clubs can praise themselves with this emblem. To sum up: This round today was definitely not the last! It’s an expensive course but worth every cent.